Sometimes dinner is better served in the form of a scoopable, sliceable, shareable casserole recipe. And because convenience matters to all of us, we thought we'd round up some of our favorites and share them with you. With our collection, 11 Best Slow Cooker Casserole Recipes, you can find all your favorite slow cooker casseroles (new and old) in one place. We feel that a meal isn't truly a meal unless it's hearty and delicious, which is why we've inlcuded slow cooker chicken casseroles, slow cooker beef casseroles, and a few other bonus recipes that you're sure to enjoy. No matter the time of year, slow cooker casserole recipes are popular and easy to throw together with budget-friendly ingredients you've probably already got in your kitchen. Whether you're preparing a weeknight meal, or are planning something to bring with you to a party, potluck, or school function for your kids, these easy casserole recipes will hit the spot. These recipes can help you do double duty in the kitchen if you're making food for a larger crowd. Pop a casserole in the oven and "bake" one in your slow cooker at the same time -- fabulous! 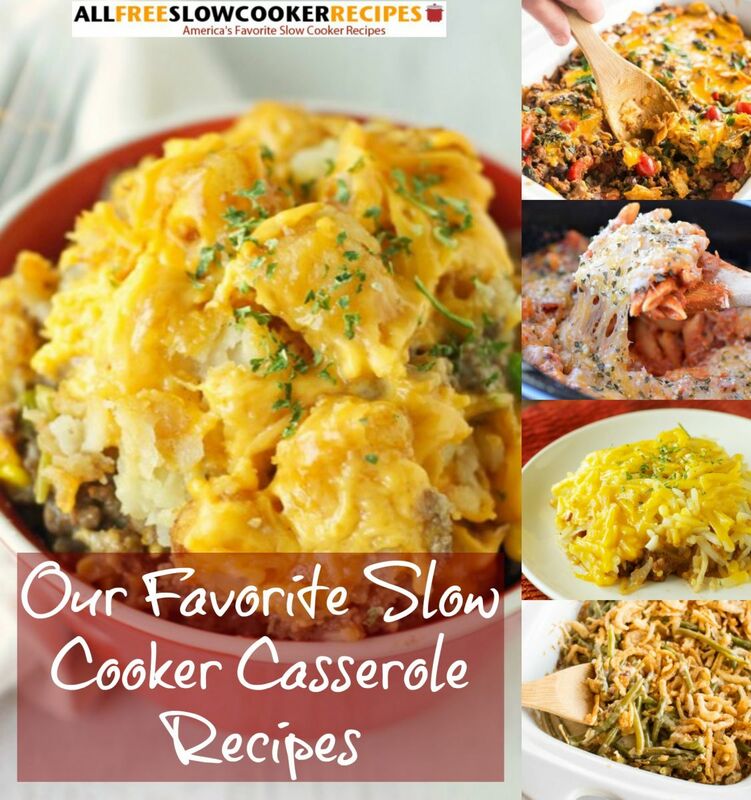 Download your free eCookbook copy of "17 Slow Cooker Casserole Recipe Classics" for even more slow cooker casserole recipes. Love these easy casserole recipes? Then, check out "One-Pot Cooking: 20 One Pot Recipes for Your Slow Cooker, Plus Bonus So Cheesy Lasagna" for more one-pot slow cooker meals. I love trying new recipes, and all of these sound delicious! 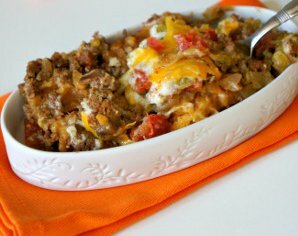 The all day cheeseburger casserole will be a wonderful addition to my list of slow cooker recipes to make for my family. I have been experimenting with using ground turkey in my dinners, since it is supposed to be so much better for you than hamburger, and all of these beef recipes would be great to try!